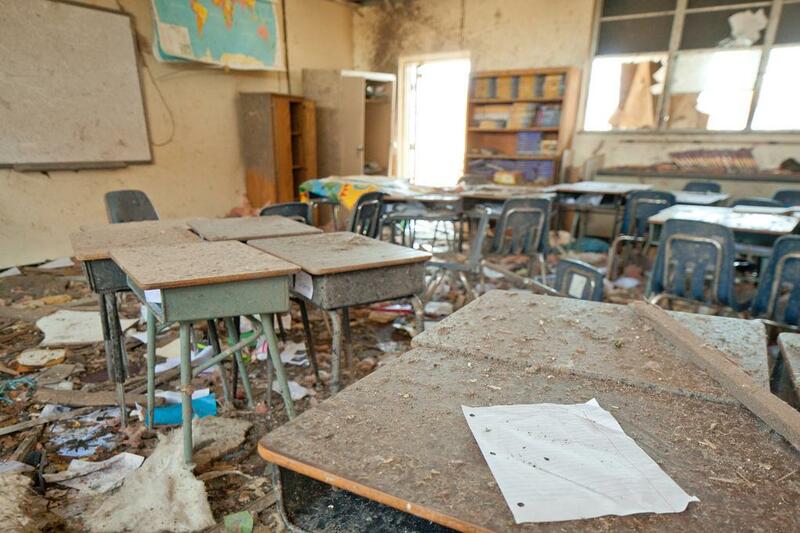 Tornado damaged classroom in the Plaza Towers Elementary school in Moore, Oklahoma. 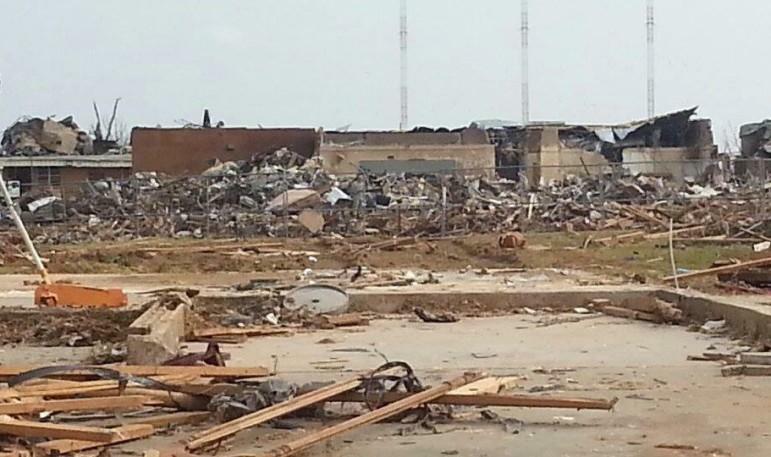 An F5 tornado struck the area on May 20th, causing widespread destruction. When tornadoes damage buildings, there are a number of things to account for when it comes to insurance and federal aid: how many square feet were there? Is the building a total loss? How much will it cost to repair? But you often don’t think about the contents of a building. For example, what about the number of beakers in a school science classroom? Robert Romines had been the superintendent of Moore Public Schools for just one week when the May 20th tornado devastated the town, leveling two schools, damaging multiple buildings and taking the lives of seven children. Romines promised the town that the district would rebuild, and it would do so quickly. “We made a lot of promises early on, and I'll be honest with you, there were a lot of nights I went home shortly after May 20th, 2013 and thought to myself, ‘Holy cow, we have made promises not only to our community, but worldwide media was here,’” he said. 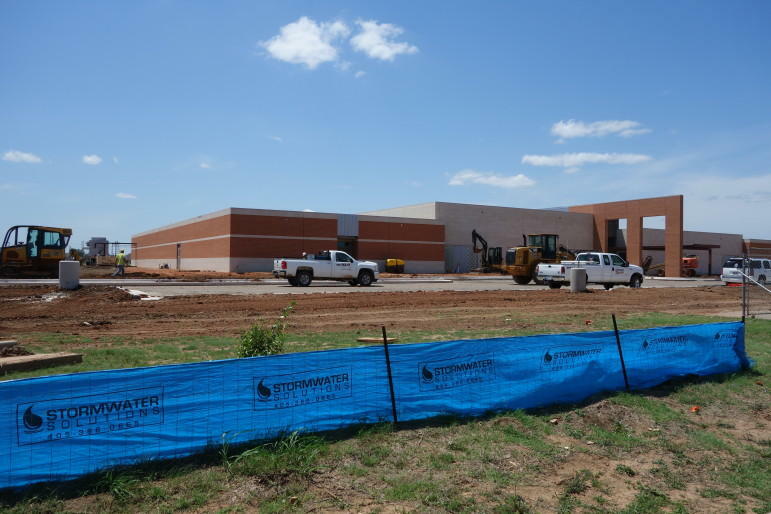 Romines pledged that Briarwood and Plaza Towers Elementary Schools would be ready for the 2014-2015 school year, but that meant a lot of work in the meantime. So he called in former superintendent Wayland Bonds, who was in charge during the ’99 storm and Jim Day, Bonds’ assistant superintendent. The two have worked with FEMA on several occasions. While it can be tedious, Jim Day says it doesn’t have to be complicated. FEMA’s flexible too. Since many of Moore’s schools were built from the same blueprint, Bonds says they were able to look at undamaged buildings to figure out what was destroyed and what needed to be replaced. Federal public-assistance funds are paying for the rebuilding of Plaza Towers Elementary School, in which seven children died in the May 20, 2013, tornado. The school is expected to open next month. ‘That's good that they'll let you do that because that'd be a real headache to try to think about,” Bonds said. All of this is incorporated in project worksheets, which estimate the cost of damage. Moore Public Schools had over 60 projects totaling about $50 million. As of last month, FEMA had awarded them over $4 million in federal assistance. Day says that money is used to offset out-of-pocket expenses. For public assistance, which is the kind of aid Moore Public Schools is receiving, FEMA reimburses uncovered costs up to 75 percent of the total, and the state chips in as well, so the district only has to foot the bill for a small percentage of the repair costs. Superintendent Romines says that’s invaluable. “The FEMA dollars have been very helpful, very helpful,” he said. But even though buildings will be ready to go by the time school starts next month, completing all the paperwork with FEMA doesn’t happen so quickly. That’s something Wayland Bonds is used to by now, though. He says he hates to think about it, but Moore has experience with federal aid. Bonds and the rest of the team working with FEMA hope to finish all paperwork and get the funding they need by the end of the year. And thanks to FEMA, the state, insurance and donations, Superintendent Robert Romines says it’s likely the district will be able to rebuild without tapping into its general revenue fund at all. Auditing The Storm: Disaster 4117 is a series of investigative reports tracking federal disaster aid following the Spring 2013 Oklahoma tornado outbreak. This series represents a collaborative effort between The Oklahoma Tornado Project and Oklahoma Watch. Oklahoma Watch is a nonprofit, nonpartisan media service that produces in-depth and investigative journalism on public-policy issues facing the state. For more Oklahoma Watch content, go to www.oklahomawatch.org. The data team for Investigative Reporters and Editors and the Investigative News Network assisted with the project. The Oklahoma Tornado Project is made possible by a grant from the Corporation for Public Broadcasting. The long process of dealing with recovery from those storms points to the likelihood that Oklahoma will be doing the same following the severe tornadoes and storms of spring 2013. “These disasters, people think, ‘When they’re done, they’re done,’” said Albert Ashwood, director of the Oklahoma Department of Emergency Management, which oversees the state’s response and distribute disaster-aid funds from the Federal Emergency Management Agency. But a key component of disaster aid, called public assistance, can go on for years. “Unfortunately, the public assistance portion takes a long time,” Ashwood said. “Auditing the Storm: Disaster 4117” is a joint investigative series by Oklahoma Watch and KGOU Radio/The Oklahoma Tornado Project on how federal and state disaster aid is being spent in the wake of the violent tornadoes and storms of spring 2013. Of the five major channels of federal disaster aid, public assistance often involves the largest amounts of cash aid and is vital at helping propel the first emergency responses. 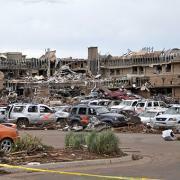 Following Oklahoma's 2013 Tornadoes, Where Does Federal Aid Really Go? 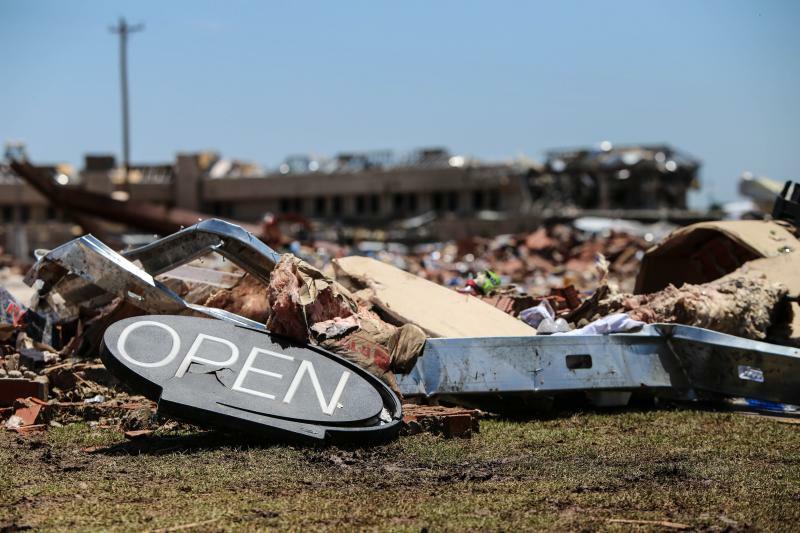 After a string of deadly tornados hit Oklahoma in the spring of last year, President Obama signed a federal disaster declaration that paved the way for up to $257 million in aid. One year later, about one half of that funding has been spent. The Oklahoma Tornado Project teamed up with Oklahoma Watch to track where all the money went. Following huge disasters, there’s always a potential for things to go wrong. In New Orleans, former mayor Ray Nagin was recently sentenced to 10 years in prison for taking bribes from contractors rebuilding after Hurricane Katrina. And in New Jersey, there’s been criticism that some Sandy aid money has gone to less needy areas. So we wanted to look into Oklahoma’s post-storm recovery. State Department of Emergency Management Director Albert Ashwood – who has worked closely with FEMA – says outright fraud is less common than it used to be.